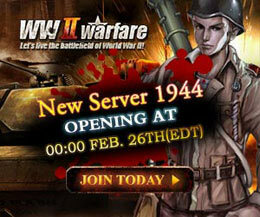 War of legends Online Now! Jagex, UK Developer of the Year 2009, or one of the browser game vanguards that is well known for the browser-based MMO Runescape have announced a free online multiplayer strategy game (MMORTS or MMO SLG) said in its official website. The Heroes of Might and Magic official mini game, a strategy browser-based game made by ubisoft. Welcome to Heroes Mini! Your trials in battle may very well earn you spoils beyond your imagination, but only if you choose your foes wisely and employ a solid strategy! StarCraft from Blizzard is surely one of the greatest games in the game history. And the well designed 3 balanced races, Terren, Protoss, Zerg, have become templates of space games. Space Project is just one of these games. Empire Craft is a browser-based game (Web-game) with RPG and business strategy, players can start the game immediately without installing any client or plug-ins. And even there is no requirement for the operating platform. With a computer connecting to internet, players can start the game on browser easily.